One month into the Tour season and TaylorMade is off to a great start. Players who play TaylorMade products have already won a few tournaments, such as Rickie Fowler (Waste Management) and Dustin Johnson (Saudi International). Check out our breakdown of what is new with TaylorMade in 2019. 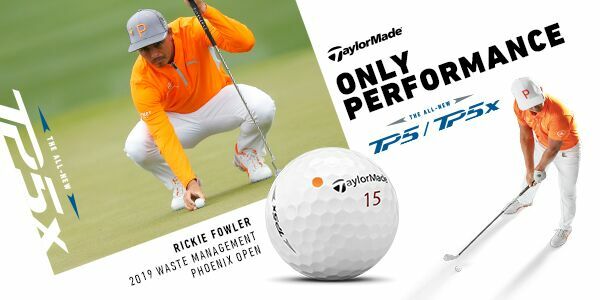 With professionals such as Dustin Johnson, Rory McIlroy, Jason Day and Rickie Fowler using the TP5/TP5x ball, many other players are making the switch to the TaylorMade ball. After five years of development, the new 2019 ball is here with many significant improvements. To learn more about the TP5/TP5x, click here. Since its inauguration in 2008, the Spider putter lineup has always been a favourite of many professionals and amateurs alike. With a newly designed frame and weighted system, learn more about the new Spider X here. The M series has always been a go-to club for many golfers, whether it be a driver, fairway wood, iron or wedge. In perhaps the biggest change to the series yet, the M5 & M6 driver have been given a "Speed Injected Twist Face", designed to give you more distance on your drive. Learn more about TaylorMade's new speed injection here or explore the M5 & M6 series here.